In another life, 21-year-old Boston-based singer Zoya Mohan could have played a character in a crossover Indian film. Mohan became a dancer when she was nine, performing at parties that her parents threw to the American-Indian community at her home town of Orange County in California. She then began training to be a singer and even visited India twice in the span of two years ”“ between 2007 and 2009 ”“ to record two pop rock albums in Noida when she was 13. Mohan’s musical sensibilities took a turn when her father bought her a guitar when she was 13. Says Mohan over a Skype chat from Berklee, where she has just finished her undergraduate course in Music Business, “It was definitely a culmination of my parents supporting me.” After the pop rock albums, Mohan recorded what she calls her first “real” EP, Letters to Toska, which released in November last year. On a campus filled with musicians at Berklee’s, it was natural that Mohan’s EP featured a host of college friends filling in on mandolin, piano, saxophone and even the flute and bansuri. Says Mohan, who played guitars and sang on her EP, “I recorded Letters to Toska completely in my room. My bass player and flute player would come to my room and we’d spend time recording. It was such a good experience, because I had finally found my sound. It was a lot of work, but it was totally worth it.” Mohan underplays the elements of Indian music in her work. 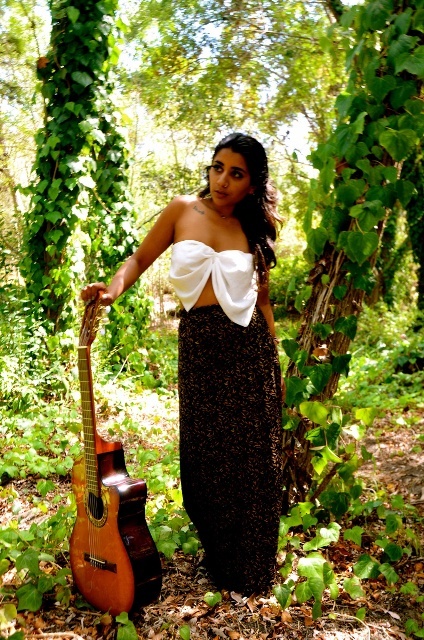 Drawing mainly from American folk, singer-songwriter artists such as Fiona Apple and Brit-Indian vocalist Susheela Raman, Mohan says her music, at least Letters to Toska, is folk fusion in one way, but more so world music.